EU antitrust watchdogs are to probe Apple and five major publishers after allegations that the companies had worked together to restrict competition over the pricing and marketing on e-books. The AP reports that the European Commission will focus on anticompetitive practices by Hachette Livre, Harper Collins, Simon & Schuster, Penguin and Georg von Holzbrinck. “The Commission will in particular investigate whether these publishing groups and Apple have engaged in illegal agreements or practices that would have the object or the effect of restricting competition in Europe”. It appears that agreements between publishers and e-book retailers will be investigated to see whether publishers worked to fix prices for their e-books, ensuring that retailers could take a cut of the profits – effectively squeezing smaller retailers. 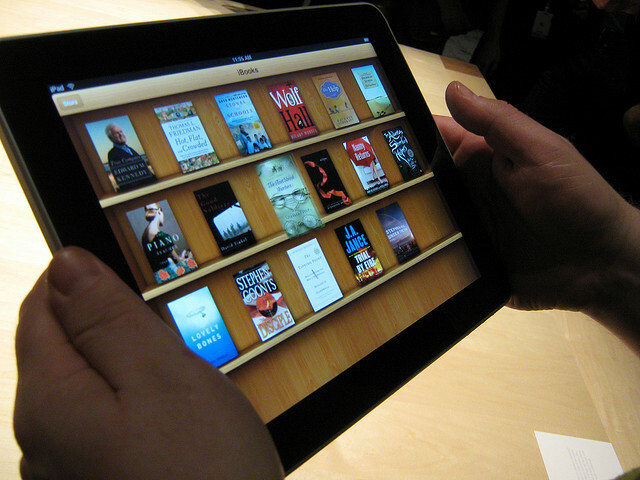 Apple, which operates its own iBookstore, will be investigated over the pricing of titles made available to iOS device owners. With pricing responsibility on the publishers’ shoulders, electronic books have sometimes been priced at a similar cost to their paperback counterparts, even though the electronic version doesn’t incur printing or distribution costs. In March, the Commission raided the offices of publishers, which was accompanied by a probe launched by the UK’s Office of Fair Trading. That investigation was suspended after the European Commission announced its own probe, acknowledging that the two would work closely.